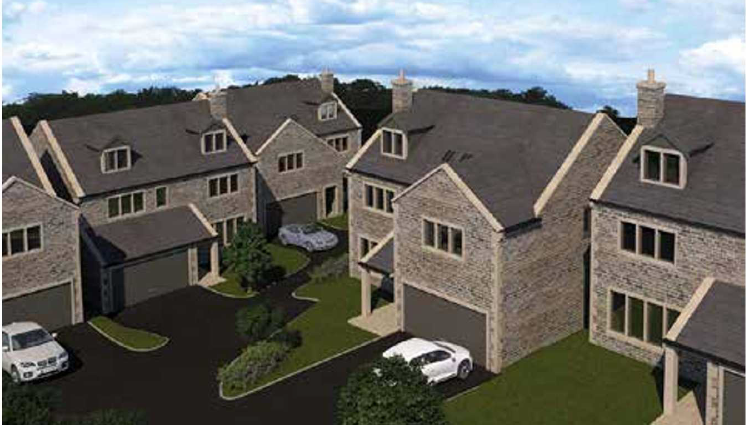 Charnock Bates New Homes Department acts on many new developments across West Yorkshire, these range from bespoke exclusive new build developments and conversions, to large scale residential schemes. Our ongoing involvement with many of the regions’ leading house builders, combined with our diverse portfolio of new build residential developments means we can offer purchasers numerous options when looking to buy a new build home. We are constantly advising landowners, house builders and developers on local land opportunities and requirements for new housing schemes, so if we don’t currently have a new home in the location or price bracket you require, we may have future developments that would meet your individual specifications. Charnock Bates have been providing independent bespoke estate agency services across West Yorkshire for over 25 years, specialising in the sale of Country, Period, Individually Designed and New Home Developments. We excel in providing the clients with tailored specialist advice, drawing upon our extensive experience within the local and regional property market. Our prominent high street office locations help showcase our client’s properties to local purchasers whilst our regional and national presence has ensured visibility across Kirklees, Calderdale, Bradford, Leeds and further afield. Each of our professional property coordinator’s boast extensive knowledge of the local market, having specific experience within specialist areas of the housing market including listed buildings, rural estates and new home developments. Our commitment and enthusiasm mean that we always strive to exceed our client’s expectations, demonstrated by our success record of high value sales and regular positive client feedback. our local know how, proactive approach and unrivalled experience ensures we remain the market leaders. All of our clients receive a personal and professional service and we pride ourselves on continually striving to ‘go the extra mile’. In a highly competitive housing market choosing the fight agent with a proven track record in obtaining the maximum return for their clients, and which thrives regardless of the market conditions is essential.